Prof. Yamamoto has received his MD in 1988 and PhD in 2000 in Tokyo Medical and Dental University. Currently, he is working as Professor and Chairman in Fukushima Medical University. He is serving as an editorial member of several journals like Journal of Dermatology, Journal of Dermatological Science, and The Open Allergy Journal. He is a member of Japanese Dermatological Association, Japanese Society for Investigative Dermatology, German-Japanese Society for Dermatology, and so on. He has Written several Books and papers in the field of Cardiology and History of Medicine Many invited presentations and session chairman in scientific meeting FELLOWSHIP ESC, European Society of Cardiology : FELLOWSHIP SCAI, Society for Cardiovascular Angiography and Interventions FELLOWSHIP ACCP, American College Chest Physician FELLOWSHIP GISE, Societa' Italiana di Cardiologia Invasiva FELLOWSHIP ANMCO, Associazione Nazionale Cardiologi Ospedalieri Interventional Cardiology activity: more than 2.500 diagnostic and interventional cardiovascular procedures. Prof. Min Li got his PhD from Emory University at Atlanta, Georgia in 2002. Under the supervision of Dr. Richard W. Compans, a world renowned virologist and immunologist, Dr. Li studied the regulation of a retrovirus envelope protein induced membrane fusion and the association with lipid rafts. He then moved on to Baylor College of Medicine at Houston, Texas, and started his career in cancer research as an Assistant Professor in 2004. Dr. Li joined the University of Texas Health Science Center at Houston, Medical School in 2010 as the Director of Cancer Research Program. In 2014, Dr. Li joined the University of Oklahoma Health Sciences Center as full Professor of Medicine, Surgery, and Cell Biology, and holds Virginia Kerley Cade Endowed Chair in Cancer Treatment. He is the Director of GI Cancer Research in Department of Medicine, and Vice Chair for Research in Department of Surgery at the University of Oklahoma Health Sciences Center. His research interests include pancreatic cancer and brain tumor pathogenesis, translational research, and new therapies. Dr. Li's group is the first one to identify a zinc transporter (ZIP4) as a new molecular target in pancreatic cancer and brain tumor, and has developed a novel therapy to treat this malignancy. Clinical Cancer Research, Cancer Research, Clinical Cancer Research, Molecular Cancer Therapeutics, Molecular Cancer Research, Oncogene, Pancreas, Molecular Toxicology, Cancer Immunology and Immunotherapy. Dr. Lu Qi obtained a medical degree in China and PhD at Tufts University in the United States. He is now an Associate Professor of Medicine at Harvard Medical School and an Associate Professor of Nutrition at Harvard School of Public Health. He is also Adjunct Professor at Peking University, China; and Distinguished Professor at Shanghai Jiao Tong University School of Medicine, China. Dr. Qi’s major research interests have focused on nutritional and genetic epidemiology of obesity, type 2 diabetes and related cardiovascular diseases. His recent research topics also include epigenetics and metabolomics, and the complex interactions between omics events and lifestyle/diet factors in relation to metabolic disorder. He has extensive experience in leading epidemiology and genetic studies in large cohorts, randomized clinical trials, and international collaborations. He is currently the Principal Investigator of five NIH-funded grants, and several grants funded by other foundations. He serves as Editor-in-Chief for World Journal of Diabetes; Associate Editor for BMC Medical Genetics, Regional Editor (North America) for Current Diabetes Reviews; and severs as editorial board member for several journals such as Journal of Nutrition, Nutrition Reviews, and Annals of Nutrition & Metabolism. He was awarded ‘Roger R. Williams Award for Genetic Epidemiology (2008)’, ‘The Mark Bieber Award (2009)’, and ‘Jeremiah and Rose Stamler Research Award for New Investigators (finalist; 2010)’ by American Heart Association; and ‘Michaela Modan Memorial Award (2010)’ by American Diabetes Association. He is a fellow of American Heart Association (FAHA), American College of Nutrition (FACN), and The Obesity Society (FOS). Dr. Tadanori Tomita -Professor and Vice-Chair of the Department of Neurological Surgery at Northwestern University Feinberg School of Medicine in Chicago, Illinois. He is a Yeager Professor and Chairman of the Division of Pediatric Neurosurgery and FoundingDirector of the Falk Brain Tumor Center at the Ann & Robert H. Lurie Children’s Hospital of Chicago, Illinois. His main research interest is pediatric neurosurgery with particular emphasis on pediatric brain tumors and congenital Central Nervous Systemmalformationsincluding neural tube defects, craniofacial anomaly and hydrocephalus. He completed his residency training at Kobe University Hospital in Japan, Northwestern University McGaw Medical Center and Memorial Sloan Kettering Cancer Center in New York, NY. He has been invited as the official guest in 52 national and international societies and post-graduate courses, and 18 visiting professorships. He has served on the editorial board of severalprofessional journals, and is an active member on multiple professional societies. He is the past president of the International Society for Pediatric Neurosurgery. He has published more than 200 publications in refereed journal and in 39 book chapters. He has actively engaged in teaching residents and fellows at Northwestern for 34 years. As the director of Lurie’s pediatricneurosurgery fellowship program, he has trained 30 American pediatric neurosurgeons and 8 International neurosurgeons. Finally, as the director of pediatric neurosurgery research program at Stanley Manne Children’s Research Institute, he has mentored 18 neurosurgeons in the realm of neurooncology and neurobiology researches. The PI is a medical scientist with training in medicine and biomedical sciences. The PI’s major research areas consist of the molecular and cellular regulation of lipid metabolites on vascular diseases. 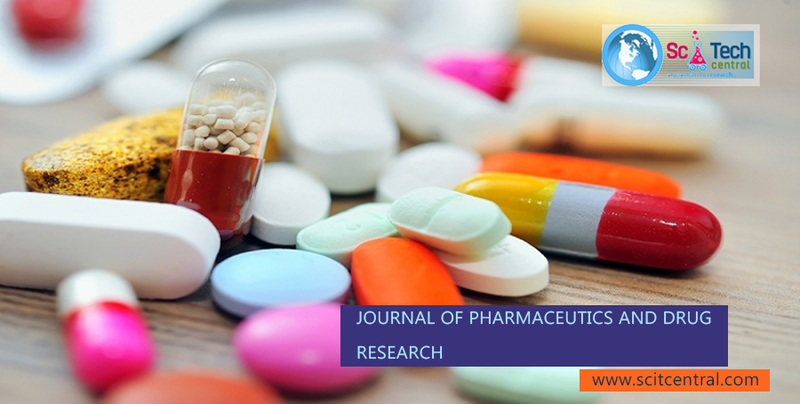 In particular, the research is focused on understanding the molecular regulation of prostacyclin, prostaglandin E2 and thromboxane biosyntheses (through the cyclooxygenase pathway) and signaling (through their receptors). Xue-Zhong Yu, MD, MS, is a Professor in Immunology and Hematology. Dr. Yu has his primary appointment in the Department of Microbiology and Immunology, and a secondary appointment in the Division of Hematology/Oncology in the Department of Medicine at Medical University of South Carolina (MUSC). He also holds the Robert Stuart distinguished endowed chair in Stem Cell Biology and Therapy supported by the SmartState Economic Excellence Programs. Dr. Yu’s research focuses on the biology of graft-versus-host disease (GVHD) and graft-versus-leukemia (GVL) after allogeneic hematopoietic stem cell transplantation (HSCT). The ultimate goal of these studies is to prevent or treat GVHD while preserving GVL effect, which could greatly enhance the therapeutic potential of HSCT. Dr. Yu’s research is currently supported by four R01 grants from the National Institute of Health. Dr. Yu and his team have made significant contributions to understand how T-cell activation, costimulation and differentiation regulate GVHD development and GVL activity. While the focus and the ultimate goal remain the same, the current research in Dr. Yu’s laboratory also extends to the areas of micro-RNA regulation, metabolism and microbiota. Dr. AbdelGhaly is a professor of Biological and Environmental Engineering in the Process Engineering Department of the Faculty of Engineering at Dalhousie University. Dr. Ghaly obtained B.Sc (1969) and MSc (1973) in Agricultural and Biological Engineering from Alexandria University, Egypt and Ph.D (1982) in Environmental Engineering from McGill University, Canada. He worked as an tant lecturer at Alexandria University, Egypt(1973-1974), Graduate Assistant/Special Lecturer at McGill University, Canada (1975-1979), Assistant Professor and Head of Departmental at University of Zambia, Zambia (1979-1982) and Professor, Director of International Programs and Director of Graduate Programs at Dalhousie University, Canada since 1982. He was a Visiting Professor at University of Guyana (Guyana), University of Trinidad (West Indies), University of Cairo (Egypt), University of Sierra Leone (Sierra Leone), University of Bogor (Indonesia), University of Oriento (Cuba), Utah State University (USA), University of Nigeria (Nigeria), University of Sana’a (Yemen), University of Agriculture (Slovak Republic), King Saud University (Saudi Arabia), King Monkut Institute of Technology (Thailand). Professor Ghaly established and directed several large international projects in developing courtiers (Zambia, Egypt, Nigeria, Guyana, Trinidad, Barbados, Antigua, Thailand and Sierra Leone), evaluated governmental policies and provided consulting services in several countries. He published over 250 papers in 42 international journals,53 papers in refereed conference proceedings and 163 technical reports, and made 240 conference presentations. He supervised 52MASc students, 30 PhD students and 75 undergraduate theses. He trained14Postdoctoral Fellows, hosted 24 Visiting Professors and employed 12Scientists, 8 Technicians and 65 Co-op Students. Professor Ghaly is a member of 13 technical societies and 14 international organizations, served as editor and editor-in-chief for 15 international journals, organized 13 international conferences and chaired 39 conference sessions. He delivered 57 distinguished lectures and gave 43 scientific interviews to TV, Radio and Newspapers around the world. Professor Ghaly has received 22 International Awards in recognition of his outstanding contribution to research and development worldwide. He is a Past President and a Fellow of the Canadian Society of Biological Engineering and Past Trustee and a Fellow of the American Society of Agricultural and Biological Engineers. Dr. Massimo Cecaro achieved a Master Degree in Veterinary Medicine and Specialization in the field of Public Health and Preventive Medicine. He worked As radio speaker, tv presenter and reporter for a wide range of artistic and Scientific events. At the age of 24 he obtained a qualification to practice as a Journalist and in 2007 he was admitted to the National Association of Medical Press (ASMI), where he currently hold the position of National Councillor. He is Resident Member of MJA Medical Journalists’ Association (London). He has been invited as Keynote speaker, mentor, chairman, Honourable Guest at International events in the field of Public Health and Safety in Canada, USA, Europe and Asia. He is also director in Italy of a prestigious Educational Centre for work safety and public health. He is actively involved in International projects to improve the role of mass--‐media in medical sciences, and awarded in Philadelphia, Valencia and Las Vegas with International special recognition. Prof. Ramón Cacabelos, M.D., Ph.D., D.M.Sci. Dr. Ramón Cacabelos is Professor of Genomic Medicine at Camilo José Cela University, Madrid, and President of the EuroEspes Biomedical Research Center, Corunna, Spain. He received his M.D. from Oviedo University, Ph.D. from Santiago University, and D.M.Sci. (Psychiatry) from Osaka University Medical School, Japan. After a decade at the Department of Psychiatry in Osaka, he returned to Spain and focused his research activity on the genomics and pharmacogenomics of neurodegenerative disorders. He has published over 600 papers and 24 books, and is Editor-in-Chief of the first World Guide for Drug Use and Pharmacogenomics and President of the World Association of Genomic Medicine. Genomics, Pharmacogenomics, Genomic Medicine, Neurogenetics, Drug development for brain disorders, Neurodegeneration/Alzheimer’s disease, Cerebrovascular disorders, Nutrigenomics. At 7 years, I was sent to St. Joseph’s College (school), North Point, Darjeeling, and from 15-17 years I attended Wallington Grammar School, Wallington, Surrey, UK. During this time I was part-time stable lad, Epsom, Surrey.With ‘O’-levels, I was offered a position at the Institute of Animal Physiology, Babraham, UK, and took my HND qualification at Cambridge Polytechnical College, Cambridge, UK (1971). Thereafter, I obtained an Honour’s degree (Psychology and Physiology) at Newcastle-upon-Tyne University (1974), and a PhD, Uppsala University, Uppsala, Sweden (1979). From 1978 (Aug) to 1988 (Dec), I was employed by Astra Läkemedel AB with the position of Head of CNS Drugs when I left to take up my appointment as Professor and Chair of Biological Psychology. I have the position of Guest or Visiting Professor at: University of Hawaii at Manoa, Örebro University, Karlstad University, Kalmar University, Madrid University and received an Outstanding Lifetime Achievement Award from St. Joseph’s College, North Point (2010); Honorary Doctorship,: Professorship and Membership Awards from the Polish Academy of Science Pharmacological Society (may, 2013); and the Sansone Award (April, 2014): School of Medicine, Washington University, St. Louis, Missouri. Neuropsychiatry, Neurology, Neuroscience, Cognition, Emotion, Neurodevelopment and Neurodegeneration, Affect, Well-being, Empowerment. Dr. A. Heidari, Ph.D., D.Sc. Dr. A. Heidari, Ph.D., D.Sc. 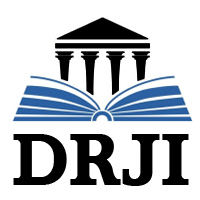 is a Postdoctoral Research Fellow in Chemistry. He has got his Ph.D. and D.Sc. degrees form California South University (CSU), Irvine, California, USA. Furthermore, he has double postdocs in Project Management and also in Nanochemistry and Molecular Structure Theory. His research interests are Biophysical Chemistry, Nanochemistry, Quantum Chemistry, Biomolecular and Vibrational Spectroscopy, Molecular Modeling and Structure, Theoretical, Computational and Mathematical Chemistry, Ab initio and Density Functional Methods. He has participated at more than fifty reputed international conferences, seminars, congresses, symposiums and forums around the world as yet. Also, he possesses many published articles in Science Citation Index (SCI)/International Scientific Index (ISI) Journals. It should be noted that he has visited many universities or scientific and academic research institutes in different countries such as United States, United Kingdom, Canada, Netherlands, Russia, France, Swiss, Germany, Sweden, Spain, Portugal, South Korea, China, etc. as research fellow, sabbatical and volunteer researcher or visitor heretofore. He has a history of several years of teaching for college students and various disciplines and trends in different universities. Moreover, he has been a senior advisor in various industry and factories. He is expert in many computer programs and programming languages. Hitherto, he has authored more than ten books in Chemistry. Syne, he has been awarded more than three hundreds reputed international awards, prizes, scholarships and honors. Heretofore, he has multiple editorial duties in many reputed international journals. Hitherward, he is a member of more than one hundred reputed international academic–scientific–research institutes around the world. Biophysical Chemistry, Biomolecular Spectroscopy, Quantum Chemistry, Nanochemistry, Theoretical Chemistry, Mathematical Chemistry, Computational Chemistry, Vibrational Spectroscopy, Molecular Modelling, Ab initio & Density Functional Methods, Molecular Structure. Dr. Kenneth A. Pettine, M.D. Professor Ellakwa is the head of restorative dentistry at Sydney dental school, the University of Sydney. Professor Ellakwa has broad experience in both teaching and research. He is a member of IADR, royal Australiancollege of dental surgeons and international college of dentists. Professor Ellakwa published extensively in the field of restorative dentistry in both national and international journals. Professor Ellakwa has provided consistently outstanding service in prosthodontics by being a leader at the faculty of dentistry, the university of Sydney, and referee for scholarly journals, reviewer for international and national funding bodies, and an organizer ofinternational, national and state-based conferences. Professor Ellakwa teaching philosophy centers on research-led and research-enhanced teaching to achieve genuine understanding and spark students’ interest in prosthodontics and dental materials. •	Assessing the polymerization shrinkage generated after incremental dental composite placement versus bulk composite filling. •	Using acoustic emission technique in assessing the stresses generated within the tooth after dental composite placement and curing. •	Development of new short fibre reinforced dental composite. •	The use of CAD/CAM technology with the construction of complete and partial dentures. •	The accuracy of new digital intra oral impression techniques in restorative dentistry •	Assessing the crack propagation within the new full zirconia dental crowns. TB Ng received his PhD degree in Biochemistry from the Memorial University of Newfoundland, postdoctoral training in endocrinology in Hormone Research Lab, University of California in San Francisco, and conducted sabbatical research in biotechnology Imperial College London. Currently he is a professor at the School of Biomedical Sciences, Faculty of Medicine, The Chinese University of Hong Kong. 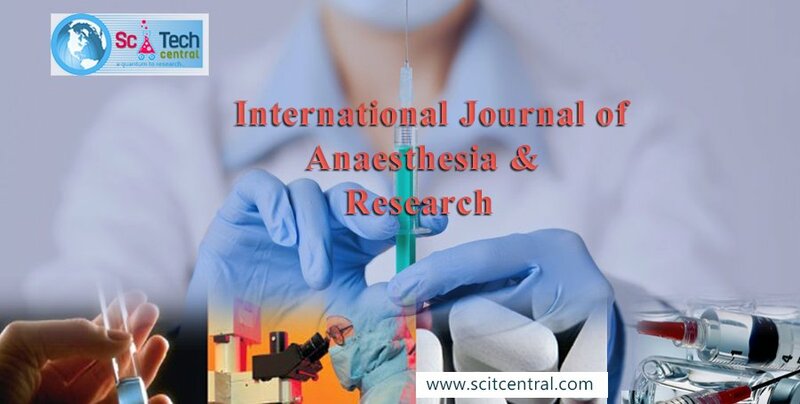 He has published, in internationally refereed reputable journals, over 700 papers. He was the principal investigator and a coinvestigator of a number of research grants. He has served as a reviewer of research grant applications submitted to national funding agencies in Europe and Singapore. The research interest of TB Ng cover a diversity of proteins including whey proteins, antifungal proteins, and peptides, antiviral proteins and peptides, antibacterial peptides, cathelicidins, defensins, antifreeze proteins, venom proteins, ribosome inactivating proteins, lectins, trypsin inhibitors, and enzymes such as laccases, galactosidases and ribonucleases. 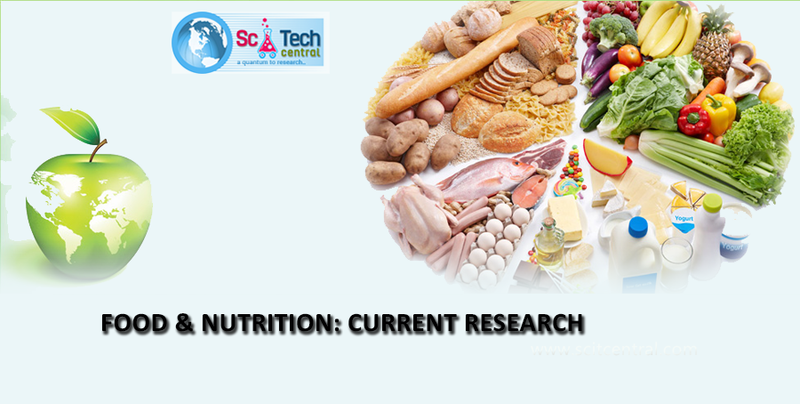 Other research interests encompass melatonin, methyl gallate compounds,chitosan, marine products, and plasticizers. and Chinese medicinal products including those from Dendrobium, Cordyceps, Ganoderma, Momordica and Coriolus species. Adnan Ćatović is a specialist and primarius in Prosthodontics. He is full Professor of Fixed Prosthodontics and Geriatric Dentistry at the School of Dentistry, University of Zagreb and Head of Polyclinic Dental Clinic University Hospital Centre in Zagreb, Croatia. He is a regular member of the Croatian Academy of Medical Sciences, graduated from the School of Dental Medicine in Zagreb 1977. He was research assistant at the Department of Fixed Prosthodontics, Faculty of Dentistry in Zagreb, university lecturer and research associate in 1987. He was elected for Associate Professor and senior research associate in 1995. and Full Professor and Scientific Advisor in 1999. From 1999. to 2001. he was Head of the Department of Fixed Prosthodontics, Faculty of Dentistry, University of Zagreb. He was Head of the Department of Fixed Prosthodontics, School of Medicine, Study of Dental Medicine,University of Rijeka from 2001 to 2003. Now he is the Head of the Geriatric Dentistry at the School of Dental Medicine University of Zagreb and Head of the Polyclinic of Dental Clinic University Hospital Center Zagreb. He was a lecturer at numerous scientific and professional conferences and has published over 150 scientific papers .He was a leader and principal investigator of the scientific project "Teeth, materials and prosthetics appliances in adolescent and geriatric population”. He was author of two textbooks of Fixed prosthodontics and Geriatric dentistry and coauthor in two textbooks of Geriatric Medicine and Dental Radiology .He is a regular member of the Croatian Academy of Medical Sciences, Croatian Society for Prosthetic Dentistry, Croatian Medical Association, European Prosthodontic Association (EPA) and the European College of Gerodontology (ECG). 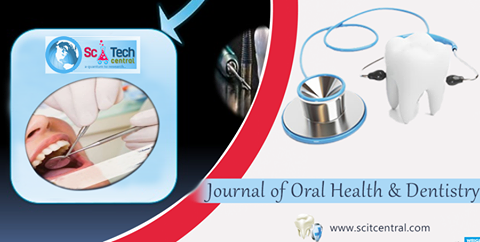 He is a member of several Editorial Boards of the International Journals in Dentistry and Medicine. Brendan T. Chen has received his highest education from BS to Ed.D degree from University of South Dakota in USA. His background is in Recreation Management, Speech Communication, Health, Physical Education and Recreation. Brendan has both Eastern and Western educational background. Currently, he’s a Professor of Leisure Industry Management in National Chin-Yi University of Technology in Taiwan. Brendan Chen has published over 50 conference and journal paper and he has been an international journal editorial board member of International CHRIE- HOSTEUR, Journal of Hospitality Marketing and Management, Advances in Hospitality and Tourism Research, International Journal of Culture, Tourism and Hospitality Research, European Journal of Tourism Research, International Journal of Cultural and Digital Tourism until now. In the past, Brendan Chen had served as an International CHRIE, including Future Fund Committee, Awards Committee, Industry Services Committee, and Conference Committee from 2010 to 2015. Dr Tetiana V. ANDRIANOVA Gender: female Nationality: Ukrainian Date of birth: 27 December 1960, was born in the family of bioscientists Profession: mycologist Institution/company address: Department of Mycology, M.G. Kholodny Institute of Botany, National Academy of Sciences of Ukraine, Tereshchenkivska Street 2, Kiev, 01004, Ukraine Email address: tand@darwin.relc.com Employment: 2017-present, 2011, Acting Head of Mycology Department & 2010-present, Principal Scientist of Mycology Department, M.G. Kholodny Institute of Botany, National Academy of Sciences of Ukraine, Kiev, Ukraine. 2016-present, Associate Professor of Mycology & Microbiology etc., Biotechnology Department, National Aviation University, Kiev, Ukraine (part-time job). 2008-2010, Scientific Secretary and 2010-2015, Senior Scientist of the Academician V.I. Vernadsky Scientific Heritage Commission, Presidium of National Academy of Sciences of Ukraine, Kiev, Ukraine (part time job). 1997-2004 (part-time job), Senior Lecturer of Plant Pathology, Biology Department, International Solomon University, Kiev, Ukraine. 1992-2010, Senior Scientist & 1989-1992, Scientific Researcher, Department of Mycology, M.G. Kholodny Institute of Botany, National Academy of Sciences of Ukraine, Kiev, Ukraine. 1987-1989. Young Scientist, Department of Mycology, M.G. Kholodny Institute of Botany, National Academy of Sciences of Ukraine, Kiev, Ukraine & V.L. Komarov Botanical Institute, Russian Academy of Sciences, St-Petersburg, Russia. 1983–1986. Post-graduate student in Mycology at the V.L. Komarov Botanical Institute, Russian Academy of Sciences, St-Petersburg, Russia. PhD (1987), thesis work: “Fungi of the Genera Septoria Sacc. and Rhabdospora (Dur. & Mont.) Sacc. from the Crimean peninsula (taxonomy, diversity, cultivation, ecology)”. 1978-1983. Student in Biology, especially Mycology, Botany and Zoology. Taras Shevchenko Kiev National University, Kiev, Ukraine. MSc (1983, diploma with distinction and Medal of the National Academy of Scientists for Young Researchers). Honorary posts: 2016-present, Vice-President of the European Mycological Association. 2014-present, Executive Committee Member, International Mycological Association. 2008-2014, Member of the Editorial Board (Mycology) of the Central European Journal of Biology. 2002-2014, various positions at the board of the International Mycological Association. 2001-2008, BioNET INTERNATIONAL Contact Scientist for Ukraine. 2003-2011, Secretary, European Mycological Association. 2003, Secretary; 2007 & 2011, Member of Organizing Committees of XIV, XIV & XVI Congresses of European Mycologists (Ukraine, Russia, Greece). 1990-present, Secretary of Mycology & Phytopathology Branch of the Ukrainian Botanical Society. Level of expertise: About 30 years’ experience in systematics and identification of conidial (anamorphic) fungi, including critical revision of type and other specimens from B, BP, ERE, IMI, KW, LE, NY, PR, PRC and WRCL fungal reference collections. Extensive fieldwork experience in Ukraine, and collecting on northern Russia, Altai, the Caucasus, different European and tropical countries, having spent several months on a Soviet research ship visiting the Seychelles, Madagascar, Indonesia, Namibia, Singapore, Egypt, the Canary Islands and mangrove swamps of Guinea (1991); a member of the Second Polar Expedition (Komarov Botanical Institute, Leningrad, 1989), and the Royal Geographical Society's first Ralph Brown Expedition (1998) [http://www.minter.demon.co.uk/brown/index.htm]. About 10 years’ experience of computerized biological recording, with particular expertise in handling cyrillic alphabet data, as a key member of the team responsible for the conventional publication Fungi of Ukraine, an Annotated Checklist (Eds Minter & Dudka, 1996, CABI Bioscience & Kholodny Institute of Botany, 331 pp.) and several major mycological websites [http://www.cybertruffle.org.uk/ukramaps, http://www.cybertruffle.org.uk/redlists, http://www.cybertruffle.org.uk/lists]. During last five years have extensive interest in Medical Mycology and is a lecturer in Mycology, Microbiology, Immunology and Pharmaceutical Chemistry. Co-author as a specialist in Fungi of academic course in Medical Microbiology, Virology and Immunology (two editions, Ed Shirobokov, 2011 & 2016 (2015), Nova Knyga, Vinnitsa, Ukraine, 952 pp. & 856 pp.). . -	All areas of Marketing including Media, Research, Advertising -	Organization behavior, -	Consumer behavior, -	Leadership, -	Brand management, -	Global market research, -	E-commerce management, -	Human resource management. Professor Ju earned his PhD training from Department of Animal Science, Cornell University, New York, USA, in 1998, and then came back Taiwan to work for National Chung-Hsing University, Taichung, Taiwan. In 2012, he moved to Graduate Institute of Biomedical Sciences, China Medical University (CMU) and the Hospital (CMUH), Taichung, Taiwan. He has been working on embryo/animal cloning by somatic cell nuclear transfer, pluripotent stem cells, particularly in domestic species, and thermal impacts on embryo development and germlayer differentiation. He has also established a Core Lab for Stem Cell Research in CMUH to differentiate human, as well as animal, ES cells into three germlayer cell lineages, such as motor neurons, cardiomyocytes and hepatocytes from normal and disease individuals, for research and therapeutic purposes. He served as a Visiting Professor at National Chao-tung University and Associate Professor at the University of Central Florida, Founder & CEO of Nasdaq-listed companies, He holds over 40 patents and is the inventor (US patents, 1992, 2000) of flying-spot LASIK procedure currently used in eye hospitals worldwide. He has published over 55 book chapters and over 200 peer-review journal papers including about 80 SCI-impacted. His awards include WHO's WHO in Leading American Executives, Model of oversea Chinese Young Entrepreneur and Fellow of American Society of Laser Surgery & Medicine. Prof. Lin research areas include: design of medical lasers (for dental, ophthalmic and anti-cancer uses), nanotechnology, bio-engineering, basic physics and modeling of vision-corrections and light-activated processes in medical and biological systems. The aim my group is to unravel cellular and molecular mechanisms underlying aging progression and its significance for brain diseases. The group has a long-standing interest in molecular mechanisms of brain remodelling in the aged brain. My group has studied the plasticity of the aging brain in response to stimuli on a background of comorbidities for more than 15 years and to stroke injury for the last 10 years. Neuroinflammation is also at the core of our studies. Recently, we became interested in the treatment of stroke, experimentally, using hypothermia, caloric restriction and stem cells. Overall our results suggest that: (1) although older animals retain the potential for brain plasticity-related cytogenetic events after injury, the expression of key brain plasticity-associated genes and proteins is often attenuated and temporally altered; (2) an important cellular event associated with restricted axonal growth after stroke in aged animals is the early formation of a scar in the infarcted region; (3) Granulocyte-Colony Stimulating Factor lowers mortality and enhances neurogenesis in the brains of post-stroke aged animals; (4) vascular wall reactivity is exacerbated in the post-stroke aged animals. (5)The aged brain can still respond to cellular therapies. 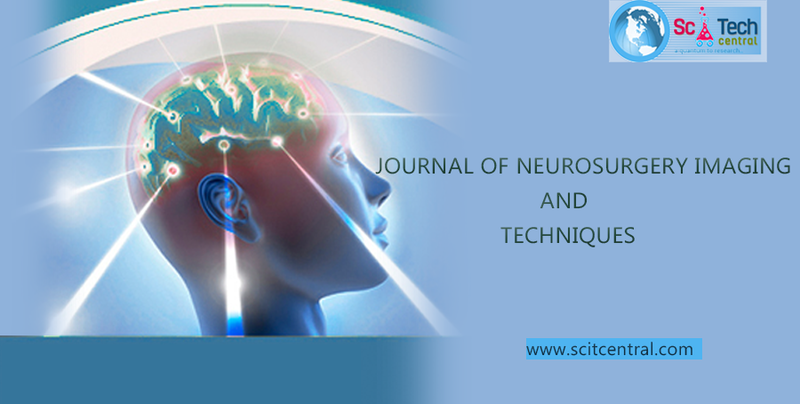 Aged animals models of cerebral ischemia; behavioral analysis; recording of EEG and various physiological parameters by telemetric measurements; MRI for small animals; immunohistochemical procedures, proteomics, genomics. Dr. Hyo Choi is meteorologist, environmental scientist and physical oceanographer with over 40 years experiences in numerical modeling researches as Overseas invited senior researcher (by Korean Government) of Korea Ocean Research & Development Institute (KORDI; now KIOST), Korea Advanced Institute of Science & Technology (KAIST), Ministry of Science & Technology, a high level-Researcher (nominated by President of Korean Government) of National Fisheries & Research Development Institute (NFRDI), Ministry of Maritime Affairs & Fisheries, and Full Professor (nominated by President of Korean Government) of Gangneung-Wonju National University, Korea. He obtained 2 Ph.D. degrees from USA (Dept. of Civil Engineering, University of Texas at Austin, TX; 1984) and China (College of Environmental Sciences, Peking University, Beijing; 2004). His research interests cover a variety of fields in Meteorology-(Weather and climate change, Wind storm, Snow storm, Severe disaster-flood, fog, cyclogenesis, Tropical cyclones, Air-sea interaction, Atmospheric boundary layer process, Internal gravity waves), Environmental Science & Engineering-(Health GIS and Modeling, Air pollution modeling and data analysis), and Physical Oceanography-(Ocean wave & circulation modeling, Ocean environment modeling for fishery, Oceanic internal waves, Chlorophyll-a, Upwelling) in collaboration with universities and government institutions in Korea, USA, Canada, England, Russia, Germany, France, Belgium, Nigeria, Iran, Turkey, India, Australia, Thailand, Malaysia, Singapore, Hong Kong, Taiwan, China, Japan, Chile and Mexico, etc.. He acted as not only Interpreter and Investigator of Korea Antarctic Scientific Expedition Team for two times (1985~1987), but also Korean Government Representative for Inter-governmental Meetings on Antarctic Treaty and Science Policies and then received National Order of Civil Merit-Mogryeon Medal from Korean Government. He has been Council member of Ministry of Environment, Ministry of Maritime and Fishery Affairs, Ministry of Education of Korean Government, and Evaluation (or Deliberation) Committee Members of institutes controlled by Korean Government (Korean Science & Engineering Foundation (KOSEF), Korea Research Foundation (KRF), National Research Foundation (NFR), Korea Institute of Science & Technology Information (KISTI), National Institute of Environmental Research (NIER), Korea Hydrographic & Oceanographic Agency (KHOA), National Fishery Research & Development Institute (NFRDI), etc.) and Provincial Governments of Korea. He has performed his duties on President of Korean Environmental Sciences Society for 2 years (2002~2003), President and Vice President of Asia-Oceania Geosciences Society (AOGS; 60 nations; Singapore -Atmospheric & Oceanic Sciences sections) for 5 years (2005~2009) and Deputy Director General of International Biographical Centre (UK) (2005~Present). He has been Director General of East Sea Regional Research Institute (1989~1991) and Dean of the Graduate School, Gangneung-Wonju National University two times (2009~2012). In present, he is Director General of Atmospheric & Oceanic Disaster research Institute, Korea, High-end Foreign Expert of South China Sea Institute of Oceanology, Chinese Academia Sinica (CAS), China, Adjunct Professor of Zhejiang Ocean University, China and Intergovernmental Oceanographic Commission (IOC) of UNESCO—WESTPAC Working Group Member on Tropical Cyclones, etc. 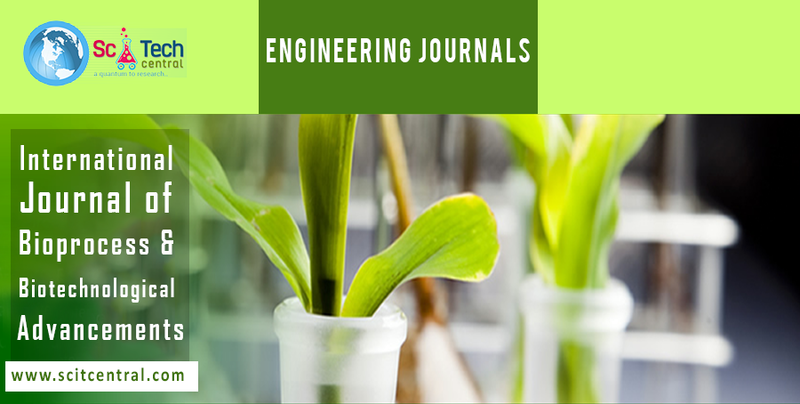 He has been also acting as Editor-in-Chief of 13 international journals (USA, Singapore, India, Korea) and Editor of 30 ones (USA, United Kingdom, Italy, Canada, Switzerland, Singapore, India, Nigeria, Hong Kong) in the fields of Environment & Pollution, Disaster, Agriculture, Water resources, Hydrology, GIS, Physical sciences, Civil Engineering and Ocean Engineering, Oceanography, Fishery and Meteorology. He has served as not only Committee Member, Keynote Speaker, Invited Speaker and Plenary Lecturer but also more than 100 times Session Chair or Convener of many International Conferences in the world. Thus, he is very fluent to control both scientific and administrative affairs and to construct international networks. Dr. Jia obtained his Ph. D. in 2004 at School & Hospital of Stomatology, Wuhan University, China. After Ph. D. study, he went to HIV and AIDS malignancy Branch, Center for Cancer Research, National Cancer Institute, NIH, USA, as a visiting scientist from 2005 to 2010. He was Associated Professor from 2005 to 2012 and promoted to Full Professor in 2012 at Wuhan University. Dr. Jia’s research interests mainly focus on the development of effective anti-caries DNA vaccine and alternative splicing of pre-mRNA. Several methods have been developed to enhance the efficiency of anti-caries DNA vaccine, including a DNA vaccine targeting antigen-presenting cells by fusing CTLA-4 with antigens, co-immunization with chemokine CCL20 or CXCL13 expression plasmid, co-immunization with the shRNA expression plasmid against STAT3 to reduce the immunosuppression environment in mucosal immune system. He is also interested in the regulation of alternative splicing of pre-mRNA splicing, the role of alternative splicing in immune responses and immunosuppression, and the role of alternative splicing in tumorigenesis. Professor David Ryugo grew up in a small college town in California that centered around agriculture. He enjoyed sports, woodworking, hiking and camping, and was drawn to mathematics and science because of his interest in problem solving. David prizes education, loves his work, and considers preservation of the environment mankind’s greatest challenge. Professor Ryugo uses neurophysiology and neuroanatomy in his studies of the auditory system. He spent 9 years on the faculty at Harvard Medical School and 23 years at Johns Hopkins University School of Medicine before retiring as professor emeritus. In 2010, he moved to Sydney to join the Garvan Institute and the University of New South Wales. His research focuses on understanding brain mechanisms that underlie hearing in mammals with an emphasis on structure-function relationships in auditory circuits of the brain. He is especially interested in how deafness and hearing loss alter brain organization, and in exploring strategies for hearing restoration. Professor Ryugo is also a Principal Honorary Fellow at the Bionic Institute in Melbourne and an honorary member of the Ear Nose & Throat Department at St. Vincent’s Hospital. When not working in the lab or worrying about funding, David enjoys reading, rock climbing, traveling with his wife, Karen, and his new hobby of sailing. Dr. Cho is Professor of Biological Sciences of Konkuk University in Seoul, South Korea and Adjunct Professor of Biology and American Government at University of Maryland University College in Adelphi, Maryland. He also currently is President of AIDS Society of Asia and the Pacific. He holds a Ph.D in Microbiology and Immunology from the University of Arizona and a master’s degree in Public Administration from Harvard Kennedy School. Prof. Cho’s work spans three platforms which include biotechnology, public health advocacy, and entrepreneurship-innovation sustainability. He was a visiting scholar at Stanford University where he worked, alongside Prof. Thomas Merigan and Nobel Laureate Baruch Blumberg, on HIV drug resistance at the Center for AIDS Research. Prof. Cho served as President for the AIDS Society of Asia and the Pacific (2005-2009), endeavoring towards decreasing the impact of the AIDS epidemic in the region. 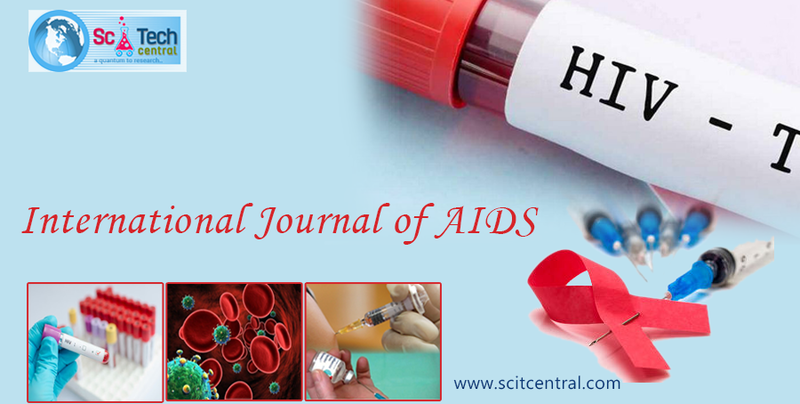 He successfully completed the International Congress on AIDS in Asia and the Pacific in Sri Lanka in 2007, in Indonesia in 2009 and in South Korea in 2011. Prof. Cho co-authored ‘AIDS: Taking a Long-Term view’, with Dr. Peter Piot and the 2031 AIDS Consortium. He was an independent steering committee member of UNITAID, a global health initiative to end the world's tuberculosis, HIV/AIDS and malaria epidemics. He has also demonstrated expertise in entrepreneurship in the biotech industry. His research and humanitarian contribution have been duly acknowledged. Prof. Cho is recognized as ‘International Scientist of the Year’ (2006, International Biographical Centre, Cambridge, England), Best Teacher of the Year’ (2007, 2015, Konkuk University), ‘Man of the Year representing Asia’ (2009, American Biographical Institute, USA), ‘Man of the Year in Public Health (2004, 2011, Ministry of Health/Well-Fare), “Leading Innovator of the Year’ (2011, Newsmaker), ‘500 People leading Korea Economy’ (2013, Daily Economy News Paper), 'The Korea Creative Management Grand Prize Award (2013, The Economy CEO-The National Assembly), 'Man of the Year in Public Service' (2016, The Korea 4.19 Freedom-Peace Foundation), and 'The 2016 Global Faculty Award' (University of Maryland University College, USA). Professor Andrea Piccin is a consultant haematologist currently working at the Transfusion Service of San Maurizio Regional Hospital of Bolzano, South Tirol, Italy. He also actively collaborates with the Medical University of Innsbruck in Austria on development of future research projects in Haematology. Over the last years he has been working in Haematology Department & Bone Marrow Transplantation Unit of Bolzano Regional Hospital and in the main Units of Haematology in Dublin Hospitals in Ireland. In 2009 Dr Piccin obtained a PhD degree at the University of Trinity College Dublin on a study on “New insight in Sickle Cell Anaemia pathophisiology”. Other activities comprise a study on “Autologus Recovery in Aplastic Anaemia” on behalf of the EBMT Severe Aplastic Anaemia working-party. Previous experience include a MD thesis on “Tandem PBSCT for Multiple Myeloma” (Verona University, Italy) and another MD degree in Paediatric Oncohaematology “Gene Therapy in Medulloblastoma in vivo and in vitro” (Padua University, Italy). He received his Medical Degree in 1996 at Padua University and the Higher Specialist Degree in Haematology in 2002 at Verona University. Dr Andrea Piccin is currently the principal investigator of two National projects on Lymphoma on behalf of the Fondazione Italiana Linfomi (FIL). His main areas of research have focused on evidence-based peer-reviewed haemato-oncology clinical trials and on key clinical questions within the field of Sickle Cell Anaemia, Aplastic Anaemia of paediatric and adults and the elucidation of the relationship between the protein C activation pathway and systemic inflammatory response sepsis syndromes in children with meningitis. Dr Andrea Piccin is internationally recognised as an expert in the field of microparticles. His famous article “Circulating microparticles: pathophysiology and clinical implications.” has received over 450 citations todate. He is author and coauthor of more than 200 research original articles, letters, books chapters and book translations. Dr Piccin has been also awarded by the Italian President Giorgio Napolitano for his contribution in the assistance of sick patients with the “Medal of Solidarity” and the honour of Sir “Cavaliere”. " Hsu-Shan Huang received his B. Pharm degree from School of Pharmacy, National Defense Medical Center (NDMC) in 1985 and master degree in 1987. He then earned his doctorate (Dr. rer. nat.) in 1996 at University of Regensburg, Germany. He speaks German and English fluently. He went back to Taiwan and joined School of Pharmacy, NDMC as an associate Prof. in 1997, and then promoted to Professor in 2005. From 2000-2001, he has been visiting scientist at Institute of Pharmaceutical Chemistry, University of Muenster, Germany. From 2006 to 2007, he has been visiting scientist at The Scripps Research Institute (La Jolla, San Diego, California, USA). After being promoted to full professor, he worked as a Dean of School of Pharmacy, and Head of Research and Development at NDMC (2008-2012). In 2013, he was head of Department of Pharmacy Practice, Tri-Service General Hospital/NDMC. In 2014, he moved to the Taipei Medical University, College of Medical Science and Technology as Professor of Oncology Research, managing two research centers in immunology and oncology. He is now responsible for the research activities (drug discovery and development) of the TMU. His main research interest is medicinal chemistry and biology of medicinally important natural products, and heterocyclic small molecules; the discovery of new synthetic methodologies; the development of novel anticancer agents with novel mechanisms of action and promising anti-inflammatory small molecules. His research also focuses on formulation and evaluation of targeted drug delivery systems for anticancer agents and anti-inflammatory agents; nanomedicines and magnetic small molecules. His research interests also extend over a wide range of biologically active molecules, mostly anticancer agents, such as small molecules and natural products. Seung-Yong Seong has completed his degree, M.S, and Ph.D. from Seoul National University College of Medicine in the Department of Microbiology and Immunology. Currently, he is working as a professor at Seoul National University College of Medicine in the Department of Microbiology and Immunology. He authored many publications in esteemed journals. He is an active member of various societies such as Korean Society for Microbiology, Korean Society for Immunology, American Society for Microbiology, and American Society for Immunology. He received many national and international awards for his contribution in the field of microbiology and immunology. 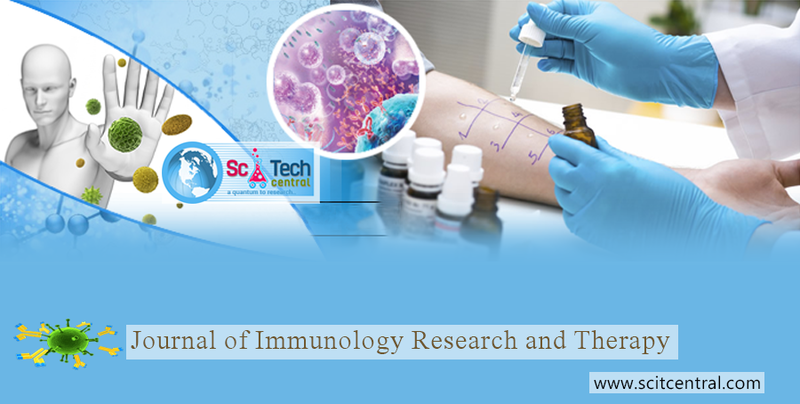 Anti-cancer immunotherapeutics have been developed for last couple of years and showed promising results. Nonetheless, there are many obstacles to overcome. We have tried to enhance antigen delivery into DCs by using nanoparticles and published on Nature Nanotech 2011. In addition, one of main hurdles is to identify tumor-specific target antigens to evoke successful cancer-specific immune responses. We have been trying to identify stem-cell specific antigens by comparing gene expression profiles between induced pluripotent stem cells and parental cells. Among the stem-cell-specific antigens, we identified tumor-associated antigens by analyzing SAGE database and by immunohistochemistry using normal tissue arrays and cancer arrays. We have been investigating their therapeutic potential as target antigens in immunotherapy using dendritic cells (DCs) vaccine and antibody therapeutics-targeting cancer-stem cell antigens in mouse tumor model. In addition, we have been trying to find out new molecular entities that control inflammation based on our novel views published on Nature Rev. Immunol 2004. In 1996, Dr Andrès received his MD degree in Internal Medicine, at the University of Strasbourg, France. He worked as an associated professor in the University Hospital of Strasbourg, France. In 1998 he worked as PhD in Molecular Biology in the Laboratory of Professor Hoffmann (2011, Nobel Prize of Medicine) in the field of cationic antimicrobial peptides and pathogens - host relations. In 2002, he was nominated Professor at the University of Strasbourg, France. He also was in the head of an Internal Medicine Department (of 62 beads) in the University hospital of Strasbourg, France. He was awarded the French Society of Haematology, price for research in the field of anaemia related to cobalamin or folate deficiencies in 2004. Achievements include development of research in: all type of anaemia, neutropenia and thrombocytopenia, particularly drug-induced neutropenia and agranulocytosis or thrombocytopenia; haematopoietic growth factors; and cobalamin deficiencies. 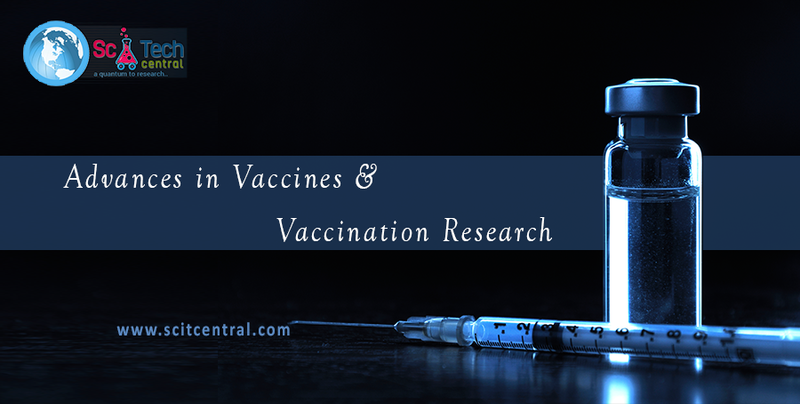 He also conducts several studies on inflammatory or immune disorders. His recent works also include research and development on human sounds analysis, electronic stethoscope, e-auscultation, and e-medicine. In that function he was recruited as advisor to several pharmaceutical and telemedicine companies or start-up. I work in academia as an internationally recognized neuropharmacology and neuroimmunology researcher. I published more than 500 scientific reports in the field of neuropsychopharmacology and signal transduction . I am leading a laboratory interested in understanding the fundamental neurobiological mechanisms of neuropsychiatric disorders to contribute at development of new pharmacological treatments. We use genetic, neuroendocrine and neurochemical methods. We recognize the role of the immune system in modulating neuropsychiatric diseases and we are developing in vitro cellular models and in vivo animal models to study the neuro-immune interactions under normal and disease states I has successfully combined research, teaching, administration and clinical care and continue to work on advancing our understanding of serious mental illness and drug development. We used to translate research findings into medical practice for the purposes of diagnosing, preventing and treating diseases. I has published scientific reports on peptides, their receptors, signal transduction and the role of these neuropeptides in the immune systems. 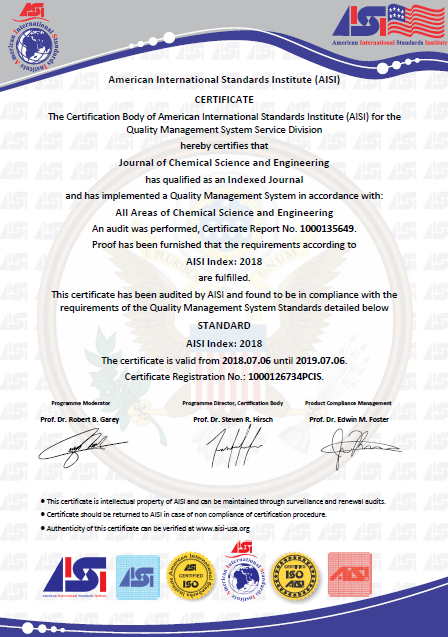 I hold patents for using modified peptides in the treatment of septic shock. I have skills and expertise in receptor pharmacology, immunohistochemistry, in vivo and in vitro cell culture, biochemistry, animal models, cell and molecular biology. I has lectured worldwide on these subjects and the others. I have 19 years of research experience with development and use of in vitro models to test compounds, such as receptor binding, receptor activation, signal transduction, receptor-receptor interactions, and induction of changes in cell cycle, proliferation and apoptosis. Furthermore I validated appropriate assays and models of diseases, screen compounds, and study mechanisms of action. Taesung Park received his B.S. and M.S. degrees in Statistics from Seoul National University (SNU), Korea in 1984 and 1986, respectively and received his Ph.D. degree in Biostatistics from the University of Michigan in 1990. From Aug. 1991 to Aug. 1992, he worked as a visiting scientist at the NIH, USA. From Sep. 2002 to Aug. 2003, he was a visiting professor at the University of Pittsburgh. From Sep. 2009 to Aug. 2010, he was a visiting professor in Department of Biostatistics at the University of Washington. From Sep. 1999 to Sep. 2001, he worked as an associate professor in Department of Statistics at SNU. Since Oct. 2001 he worked as a professor and currently the Director of the Bioinformatics and Biostatistics Lab. at SNU. He served as the chair of the bioinformatics Program from Apr. 2005 to Mar. 2008, and the chair of Department of Statistics of SNU from Sep. 2007 and Aug. 2009. Microarray Data Analysis, Genome-Wide Association Studies, Gene-Gene Interaction Analysis, And Statistical Genetics. Born in Switzerland during the posting of his British parents with the British Consulate General in Zurich, he went through his schooling in Switzerland and initially studied Veterinary medicine at the University of Zurich, obtaining his diploma as veterinary surgeon and Doctor of Veterinary Medicine in 1982. His first PhD entitled “Parathyroid cell variants may be provoked during immersion fixation” was done in 1987 and earned him Fellow of the Royal Microscopical Society FRMS. After studying Comparative Ophthalmology, resulting in a second PhD thesis and his Doctor title from the University of Zurich on “Mesodermal Goniodysgenesis in the Siberian Husky”, he started work at Dispersa AG, later Ciba Vision Ophthalmics and Novartis Ophthalmics as a medical consultant, drugs regulatory affair and later becoming Vice President and responsible head of Medical Affairs. 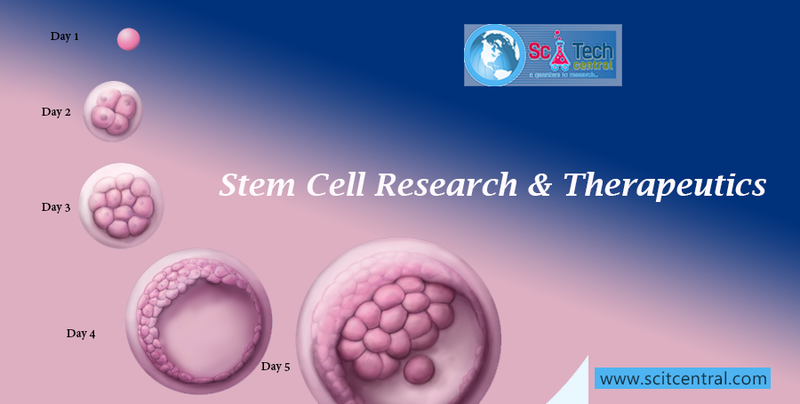 During this time, he developed his first interests in stem cells, leading to research projects into adults mesenchymal stem cells from bone marrow and adipose tissue to treat ophthalmic conditions such as AMD, Keratoconjunctivitis sicca and glaucoma. He then set up his own company, Med Cell Europe, where first treatment of stem cell transplants, GMP conform production methods and a whole range of research was performed. This lead to one of the first treatment and stem cell laboratories in Switzerland, several patents on the production of exosomes and paracrine substances by mesenchymal stem cells and the development of treatments with Dendritic Cells, the successful transformation of mesenchymal stem cells into dopamine and insulin producing cells. Dr Kellner is now founder and chief scientist of Mesencell Biotech, which focuses on autologous stem cell and dendritic cell treatments in the Middle East and Northern Africa, co-founder and chief scientist of Med Cell Bahamas with a government licence for stem cell treatments in the Bahamas, co-founder and chief scientist of Med Cell International in the USA and co-founder, board member and chief scientist of Med Cell plc responsible for worldwide research projects and clinical trials for diseases such as Alzheimer Disease, Parkinson Disease, Diabetes T1 and T2 and osteoarthritis. Apart from his main research focus into neurological disease (Alzheimer and Parkinson Disease and retinal disease) Dr Kellner mentors young biotech start-up companies and actively seeks and finds collaboration with other research institutes and local governments. Dr. Song-Nan Chow graduated from College of Medicine, National Taiwan University in 1968(M.D.). He also got Ph.D. from Graduate Institute of Clinical Medicine, National Taiwan University in 1983. Dr. Chow served an internship at Maimonides Medical Center, New York City, USA during 1972-1973. He was a senior investigator in University of British Columbia (UBC), Vancouver, Canada and Eastern Virginia Medical School (EVMS), Norfolk, USA during March 1984 to September 1984. Dr. Chow served as Professor and Head in Department of Obstetrics & Gynecology, College of Medicine and the Hospital, National Taiwan University from 1999 to 2005. Dr. Chow was the Principal Investigator of International HPV-008 Cervical Cancer Vaccine Trial (PATRICIA) during 2004-2010 at National Taiwan University Hospital, Taipei, Taiwan. He also served as a council member and Chair of IDMC, AGOG (Asian Gynecologic Oncology Group). Dr. Chow has also held two patents of ovarian cancer biomarkers. Major medical fields : Gynecologic cancers, HPV vaccines, Clinical trials, Ovarian cancer biomarkers, Menopause & HRT. Nick Kostovic was born on December 06, 1950 in an area now known as region Dalmatia, currently Split Croatia. I graduated from Split Gymnasium in 1969 with an Associate of Arts Degree in Humanities and Science. I am Italian and US citizen. I have strong Italian ties through my father, Ivo Kostovic who mother was Italian. Through his father roots he has and Asian origins. He was born on the island of Drvenik-Veli when it was part of region Dalmatia, Italy called Zirona. My mother Bosiljka Rodic Kostovic, great great grand daughter of Djurdja Mandic, mother of NikolaTesla with Russian roots, was born in city Omis also originally from Dalmatia region, Italy. Dalmatia was part of Italy for many centuries and currently Dalmatia is located in Croatia Europe. Brief Bio: Prof. Arnon Blum received his MD at the Technion, specialized in Internal Medicine at Hebrew University, and then in Cardiology at Tel-Aviv University. He served in the IDF as a Flight Surgeon (Lieutenant Colonel). Since 1999 Prof. Arnon Blum has been the Director of the Internal Medicine Ward at Baruch Padeh Medical Center—Poriya, Tiberias. Prof. Blum further concentrated on Vascular Biology and Vascular Stem Cell research, receiving his training at the National Institutes of Health (Bethesda, MD, USA; 1997-1999 and 2006-2008) exploring means for cardio-vascular regeneration. In 2011-12, he was invited as a visiting Professor to lead a clinical trial at the University of Miami for adult (mesenchymal) stem cell transplants to patients with severe heart failure. There, he discovered a key mechanism that explains the beneficial effects of cell transplantation to the failing heart. Prof. Blum has published more than 160 papers in peer-reviewed journals as well as chapters in invasive cardiology textbooks – the most recent one addressing techniques for stem cell transplantation to the heart (Grossman 8th edition, 2014). He serves on the editorial board of 15 journals in Cardiology, Internal Medicine and Translational Medicine, and is the Editor in Chief of one of these. Prof. Blum is a member of 5 steering committees at Bar-Ilan University’s School of Medicine in the Galilee. His main goal now is to build a Center of Excellence in Regenerative Medicine at the School of Medicine in the Galilee, which will focus on cardiovascular regeneration and include basic research and clinical facilities. I'm a consultant transplant surgeon and senior lecturer (Associate professor), University of Liverpool and University of Sheffield, UK who is interested in the management of medically and surgically challenging transplant patients. Developed and promoted many innovations (enhanced recovery in transplantation and non-heart beating programme). I introduced and promoted a new surgical approach in third and fourth transplantation to Sheffield. I introduced and promoted dual kidney transplantation of marginal deceased kidneys to Sheffield, UK. I'm also interested in immunologically challenging transplantation, where I transplanted kidneys across positive cross-match and highly sensitised patients. I perform parathyroidectomy for renal patients, also trained many surgeons to perform this operation endorsed by the International Society of Nephrologists (ISN). I'm on the panel of examiners of Royal College of Surgeons of Edinburgh and England, also a member of the examination panel of the intercollegiate exit exam in general surgery and transplantation of the Joint Committee on the Intercollegiate Examinations. I'm leading an online course in transplantation awarding higher degree in transplantation from University of Liverpool, UK. I'm appointed as ISN ambassador in transplantation and surgery of the parathyroid. Gregory J Tsay is professor of School of Medicine and director, Immunology Research and Development Center, China Medical University Hospital, Taichung, Taiwan. He graduated from Medical School of Chung Shan Medical with M.D. and earned Ph.D. Following a one-year research fellow at Royal North Shore hospital, Sydney, Australia (under the supervision of Dr. David Nelson) and a two-year research fellow at The Scripps Research Institute, La Jolla, USA (under the supervision of Dr. Eng M Tan), He returned to Taiwan to head the division of Rheumatology and Immunology, Chung Shan Medical University Hospital, Taichung, Taiwan. He was appointed as an assistant professor, associated professor, and then full professor in 1990. His main fields of scientific interest are in autoimmune diseases. He is vice-president of Federation of Immunological Society of Asia- Oceania (FIMSA 2015-) and He was president of Taiwan Immunology Society and Taiwan Rheumatolgy Society, and Secretary General of FIMSA. His main fieldds of scientific interest are in autoimmune diseases. Dr. Farid Menaa is an inter- and multi-disciplinary professional with worldwide reputation. He has three international post-doctoral terms in Oncology, Dermatology, and Hematology; MBA Entrepreneurship and MD candidate. During his ongoing career, he has mainly contributed to the identification and functions of new human disease-causing genes and variants, formulated natural products for anti-aging and developed innovative theranostic strategies against cancers, cardiovascular diseases, diabetes, obesity and infectious diseases. He has more than 10 years’ experiences either in the academic, hospitals or industrial sectors. As Chief Scientific Officer and Vice-President R&D at Fluorotronics, Inc. he actively participated in the development of the disruptive “Carbon-Fluorine Spectroscopy”. Dr. Menaa collaborates with various organizations worldwide. He is a member of several prestigious medical and scientific organizations and editorial boards in the field of medicine, science, technology and business, including in the nano-segment. He has authored more than 100 articles including research and review articles, books, book chapters, textbooks, proceedings, and has participated to over 200 scientific international events including as co-organizer, keynote speaker, chairman. Dr. Menaa’s worldwide collaborations, holistic point of view and strong expertise in various fields led him to prevent, implement early diagnosis, and develop efficient and safer therapy. Dr. Farid Menaa’s research interest includes Preventive Medicine, Personalized Medicine, Translational Medicine, Integrative Medicine, Green Medicine, Nanomedicine, Biotechnology, and Nanotechnology. 1) 2 years (1981-83) as a doctor in different rural centres of Castellon, Spain. 2) Civil servant of the Valencian Health Council, Epidemiology Department, 1984. 3) Director of Mediterránea Médica Clínics in Valencia, Castellón, Elche and Zaragoza (Spain), 1986-1993. 4) Director of the research program in Gyneco-Obstetrics with misoprostol and mifepristone at the Eusebio Hernández Hospital, Maternidad Obrera, The Havana, Cuba. 1995-2006. 5) Temporary assesor of the World Health Organisation. Research commitee in contraceptive and postovulatory abortion methods, Reproductive Health Group. 6) Vice-president of ACAI (Abortion Clinics Association in Spain). 7) Director of the Outpatient Major Surgical Unit authorized by the Valencian Health Council to perform low and high risk abortions, 2001. 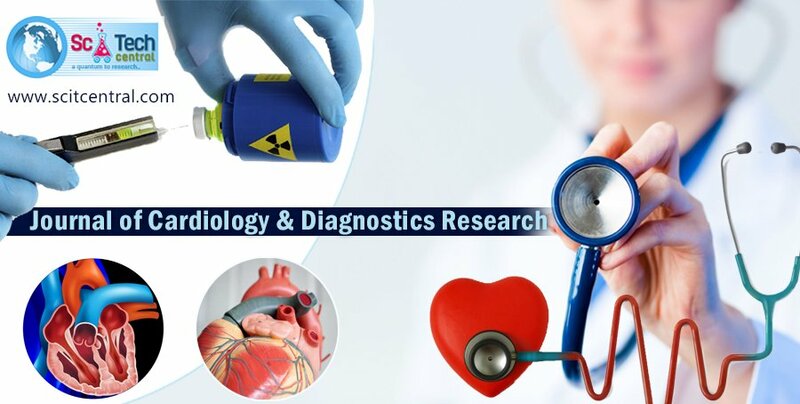 Forensic pathology: Sudden death (especially in cardiovascular diseases), Medical malpractice, Relationship between trauma and disease, Road traffic accident; Education of forensic medicine; Medical ethics (Euthanasia). Dr. Eddleman is active clinically and currently sees patient’s at the Mount Sinai Hospital main campus and at Mount Sinai Doctor’s in Brooklyn Heights. He teaches fellows, residents and medical students is one of the health systems two “wellness champions” for the OB/GYN department. He is on the editorial board of four journals. During his tenure at Mount Sinai, he has served as the maternal-fetal medicine fellowship program director, the director of the Division of Maternal-Fetal Medicine, the Director of Obstetrics for the Mount Sinai Hospital, the System Director of Obstetrics for the Mount Sinai Health System, the Director of Maternal-Fetal Medicine Ambulatory Services at Mount Sinai West and the System Director for Women’s Ambulatory Services for the Mount Sinai Health System. Dr. Eddleman has published more than 60 peer-reviewed articles, numerous abstracts, chapters and invited reviews. He has also co-authored four books on pregnancy and childbirth for the lay public. He sits on the editorial boards for four journals and on the medical advisory board for the Genetic Disease Foundation. He is active in the American College of Medical Genetics, where he is currently a member of the Program Committee, the American Congress of Obstetrics and Gynecology, the Society for Maternal-Fetal Medicine, the American Institute of Ultrasound in Medicine, the American Society of Human Genetics and the New York Obstetrical Society. And, since 2003, he has served as an oral examiner for candidates seeking certification by the American Board of Obstetrics and Gynecology. Dr. Eugene Stephane Mananga is the Deputy Executive Director of The CUNY ACADEMY FOR HUMANITIES AND SCIENCES, and a member in the Board of Directors-at-Large of The ACADEMY FOR HUMANITIES AND SCIENCES. He is a Faculty Member in the Physics Doctorate Program and in the Ph. D Program in Chemistry at the Graduate Center of the City University of New York (CUNY). He is an Assistant Professor of Physics and Nuclear Medicine at BCC of CUNY, and an Adjunct Professor of Applied Physics at New York University (NYU). He completed his Ph. D in Physics from the Graduate Center of the City University of New York, and holds 6 additional graduate degrees and training from various institutions including Harvard University, Massachusetts General Hospital, and City College of New York. Eugene did his postdoctoral studies in the National High Magnetic Field Laboratory of USA, Harvard Medical School, and Massachusetts General Hospital. Prior to joining Harvard - MGH, Dr. Mananga was an “Ingenieur de Recherche” in the French Atomic Energy Commission and Alternative Energies (“Commissariat a l’Energie Atomique de France”, CEA-SACLAY, NEUROSPIN). During his tenure with CEA-SACLAY, Dr. Mananga worked in collaboration with Dr. Thibault Charpentier to introduce the Floquet-Magnus expansion in the field of Solid-State Nuclear Magnetic Resonance. This important work contributes to advance the understanding of spin dynamics in nuclear magnetic resonance, quantum physics, and beyond. Eugene has published more than 60 peer-review scientific articles (mainly as first and corresponding author) including prestigious and major scientific journals such as Physics Reports, Royal Society of Chemistry, the Journal of Chemical Physics, PLOS ONE, the Journal of Physical Chemistry, Chemical Physics, Journal of Magnetic Resonance, Solid-State Nuclear Magnetic Resonance, Journal of Nature and Science, etc... and has been serving as editorial board member for more than 40 international scientific journals. Professor Eugene Mananga research interests are in theory of Nuclear Physics, Condensed Matter Physics, Atomic and Molecular Physics, Solid-State Nuclear Magnetic Resonance, Medical Physics, Radiological Sciences and Nuclear Medicine. Currently, he is focused on advancing theory, simulation and methodology in Solid-State Nuclear Magnetic Resonance, Spin Dynamics, Quantum Physics, Imaging Science, Medical Physics and Nuclear Medicine. Prof. Chien-Chang Lee, MD, MS, ScD. Chien-Chang Lee, MD, ScD, is an Associate Professor of Emergency Medicine at and the deputy chair for the research section of Taiwan Society of Emergency and Critical Care Medicine. He is currently the leading investigator of Health Data Science Research Group of NTU hospital. Originally from Taipei, he graduated from NTU and received resident training in emergency medicine program of NTU hospital. After few years’ working as the staff physician, he decided to pursue a research training in in epidemiology and biostatistics at the Harvard School of Public Health. After graduation, Dr. Lee returned to NTU hospital where served as academic faculty, distinguishing himself as an active researcher in clinical and epidemiologic research of infectious disease. Dr. Lee’s primary focus is on the sepsis, biomarker, and pharmacoepidemiology. His research employs large nationwide administrative database and electronic medical records to explore the comparative effectiveness and safety of various drugs or medical devices. In biomarker research, he promotes the evidence-based use of biomarker test and published a series of systemic reviews to evaluate the accuracy of biomarkers used in the ED setting. Findings from his studies have motivated appropriate use of biomarkers in the diagnosis and risk stratification of acute illness in the emergency department setting. In pharmacoepidemiology research, Dr. Lee is the first researcher who discovered that commonly used fluoquinolone antibiotics may be associated with the deadly aortic dissection or aneurysm. Prof. Pierre A. Guertin, Ph.D. Regular researcher at the CHU de Québec Research Center, and professor in the Department of Psychiatry-Neurosciences, Dr. Guertin’s work focuses on paralysis. He discovered a pharmacological treatment called Spinalon that can powerfully activate the locomotor neurons of the spinal cord in paraplegic animals, despite complete injury. This discovery is patented and clinical trials (phase I-IIa) in humans have been successfully completed. This important advance was highlighted in various reports, notably on Radio-Canada television and radio.